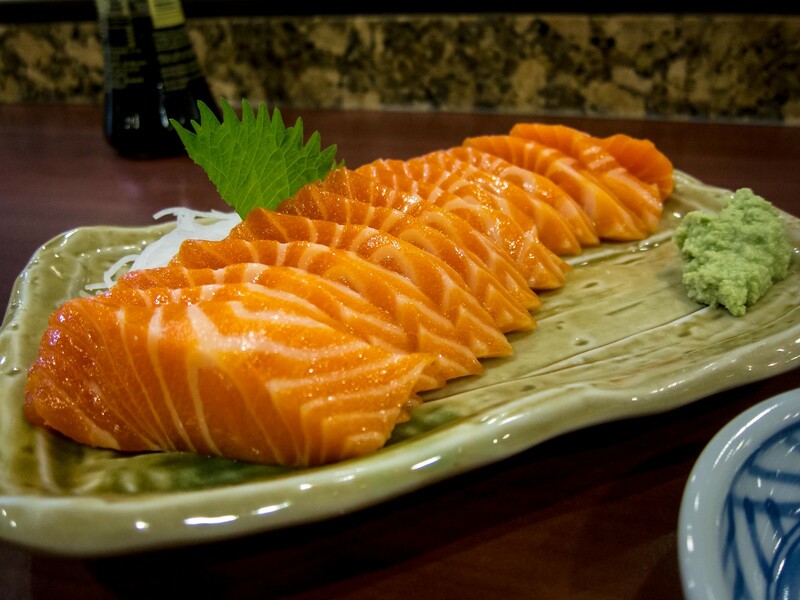 If I was stuck on a desert island and could eat one thing for the remainder of my days, it would be sashimi. Basically, I’m always craving raw fish and am lucky to live close to Taro’s Fish, a Japanese fish shop/grocer with a small dine in space. 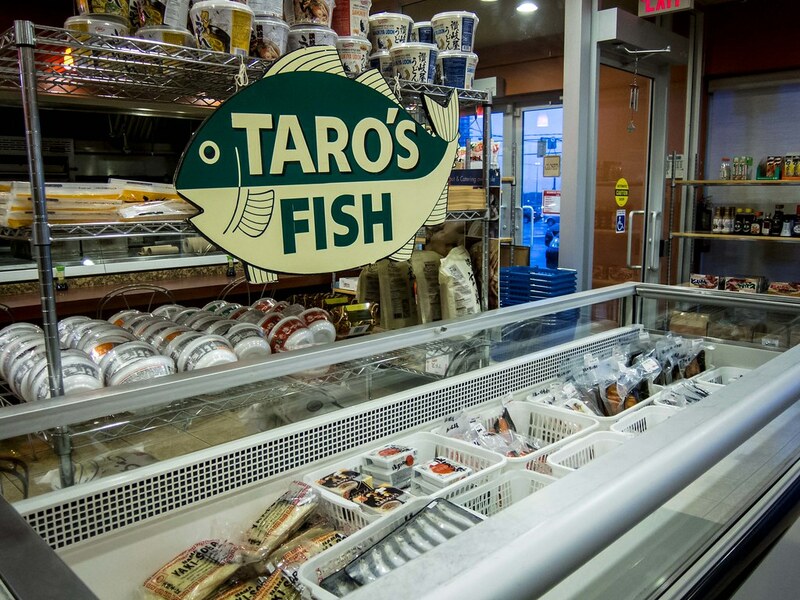 Atmosphere: Taro’s Fish resides in a commercial block located on Sheppard Ave., between Bayview and Leslie. Townhouses are being built in neighbouring lot, but for now there’s still ample parking and signs of future residential development (yet). 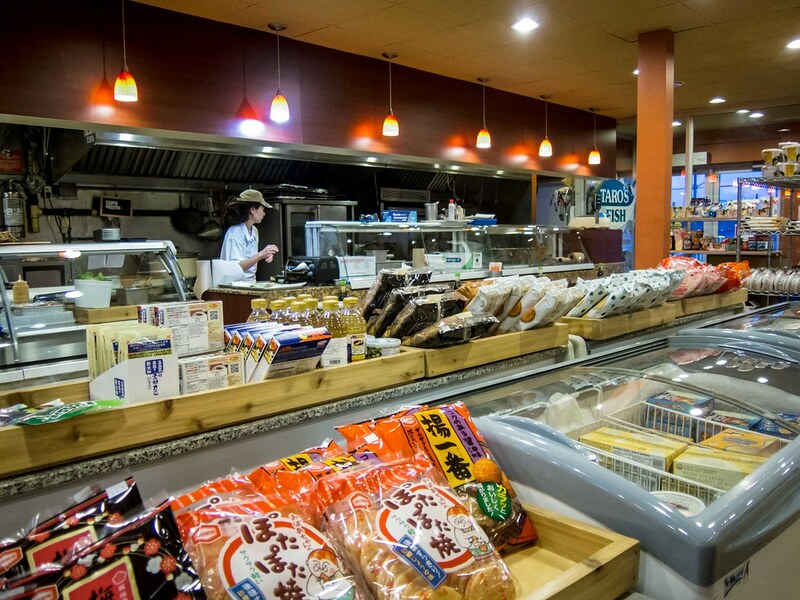 Walking into the shop, the layout is more convenience store, grab and go, than dine in. There are seats at the sushi bar and along the front windows, but less than 10 in total. 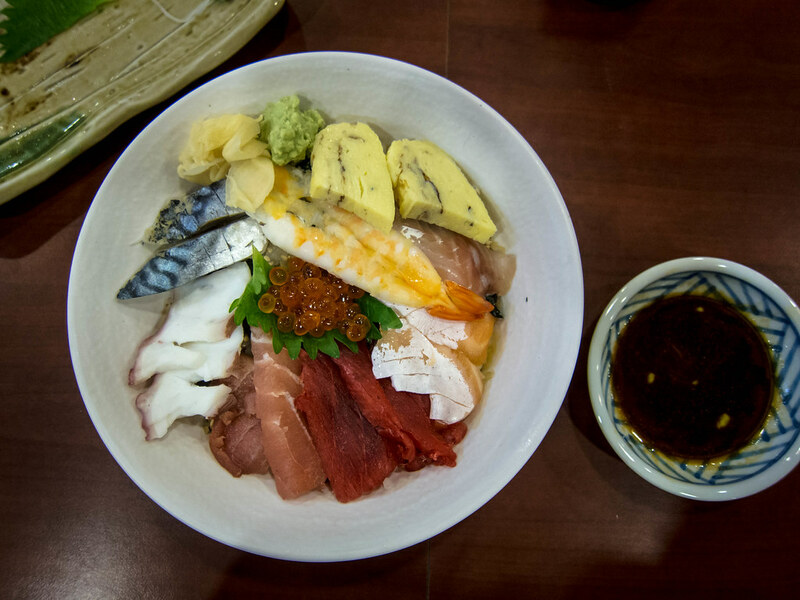 In addition to fresh sashimi and sushi take-out, Taro’s Fish has a full supply of Japanese groceries like snacks, sauces and instant noodles. 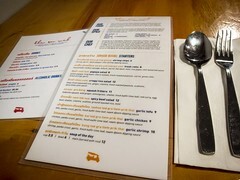 Service: After taking a look around, The Fiance and I decided to eat in. We placed our order at the register and settled at the sushi bar with a great view of the prep area. 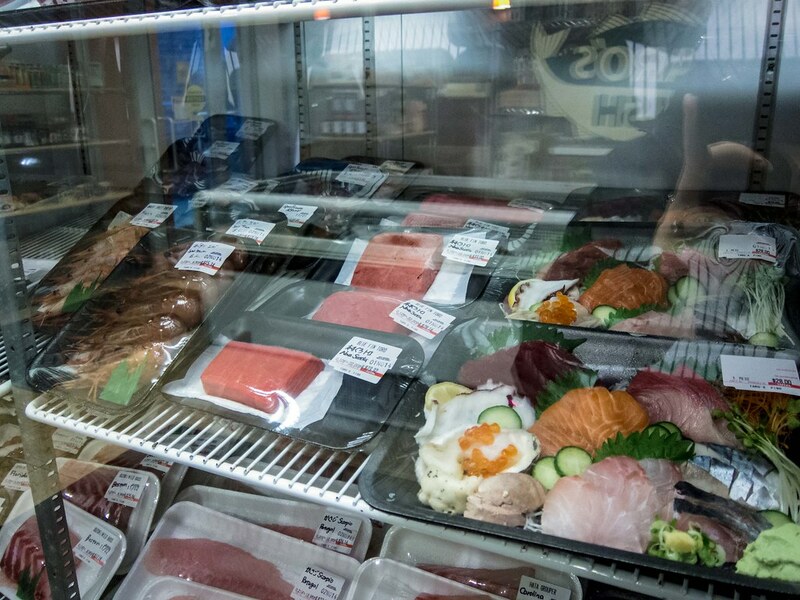 In addition to ordering from their take-out menu, there is a great selection of fresh slabs on sashimi in the freezer. You can buy a piece and Taro’s fill slice it into sashimi or make nigiri (at an extra cost) for you on the spot. Our order was brought to us, but everything else was self serve. There’s no tea or water, but a wide variety of Japanese drinks available for purchase. Food: As usual, we ordered too much food. To be fair, we didn’t expect the rolls to be so gigantic and we added a slam of sashimi as an after thought. In total, we had a chirashi bowl, spider roll, dynamite roll, spicy tuna roll, fresh ocean trout sashimi and two pieces of scallop sashimi. The highlight of the meal was definitely the fish. 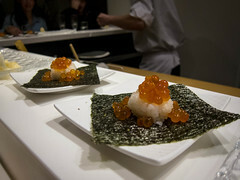 The ocean trout was sweet, buttery and pretty amazing; one of the best pieces of sashimi I’ve had in Toronto. 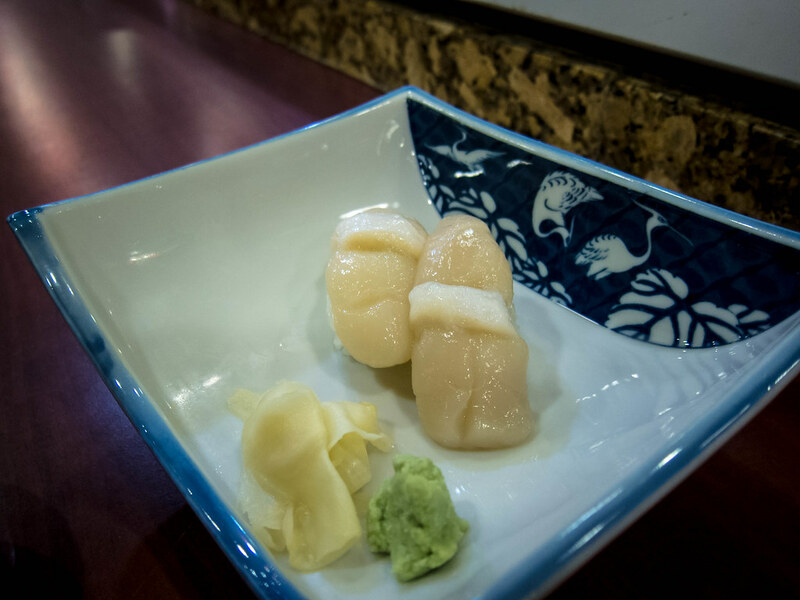 Same thing with the scallop nigiri, sweet and it just melted as I chewed. Compared to these two cuts of dishes, my chirashi looked a bit scraggly. Aesthetics didn’t dictate the taste though and the bowl was satisfying with tuna, bluefin tuna, salmon, mackerel, salmon roe and octopus. Our full plate of rolls arrived and half way through, we were already full. Each piece was a mouthful and had a great filling to rice ratio. I didn’t love the lettuce that was used as filler though. 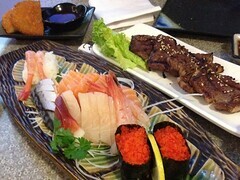 My favourite of the three was the spicy tuna, which had the most raw fish. Overall, while the rolls were filling and helps make the meal reasonably priced, I could’ve skipped them and splurged on more sashimi. 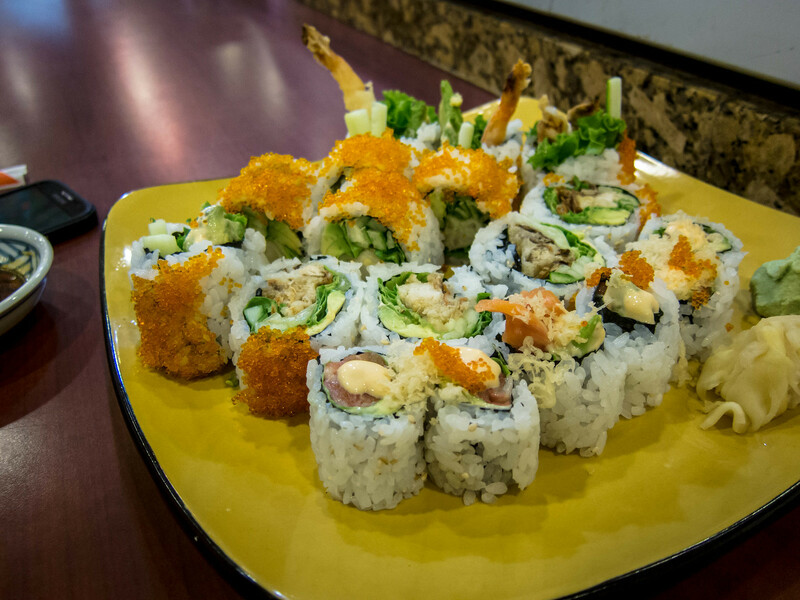 Taro’s Fish is a great place to grab high quality sushi for yourself or a take-out platter that will impress guests.